Red wine is made from different varieties of black grape and the color of the wine range form intense violet to brick red depending on maturity of the wine. Red wine is made by crushing and fermenting dark colored grapes. The alcohol content of red wine usually ranges from 12% to 15%. Red wine was also used for its medical properties in ancient times. It tones your skin and keeps the radiant of skin intact. Also Fights against diabetes, obesity and boosts heart health. Let’s see all amazing benefits of red wine for Skin, Hair and Health here. Wine is good for us in many ways and the most important benefits it gives to our Skin. The antioxidants present in red wine fight ageing by restoring the collagen balance and elasticity of your skin Fine lines and wrinkles will disappear, and your skin will get a second lease of life. A red wine massage is your ticket to radiant skin. Just spritz some red wine on your face and massage very gently. Rinse it off with a cleansing agent. You can use red wine for skin that is affected by acne. The antiseptic and anti-inflammatory properties cleanse skin of oil and impurities, and also reduce further breakouts. Instead of investing in a cosmetic product, you can use red wine as a toner and get soft, clear and supple skin. Gently apply the wine to your face and rinse it off with cold water after 30 minutes. Red wine is packed with antioxidants like flavonoid, resveratrol and tannin which help fight ageing by restoring collagen and elastic fibers. Red wine gives a boost to sagging skin, reducing fine lines and wrinkles. The antioxidants in red wine can increase the levels of good cholesterol. This prevents cholesterol build-up, preventing heart disease. The polyphenols in red wine, especially resveratrol, can protect the linings of the blood vessels in your heart. Resveratrol has been found to reduce blood clots. Though more research is required, the possibilities are promising. According to the American Diabetes Association, drinking red wine can lower your blood sugar for up to 24 hours. As per a recent study, moderate red wine consumption can reduce the risk of heart disease in patients with type 2 diabetes. Research says that resveratrol in red wine can convert the bad fat into calorie-burning brown fat. And diets containing the antioxidant can help combat obesity. Studies suggest that red wine can help in slimming down your waistline or even promote a longer life. For thick and shiny hair, use of red wine may play an important role. Just wash with red wine as a final rinse, after shampooing and conditioning your hair. 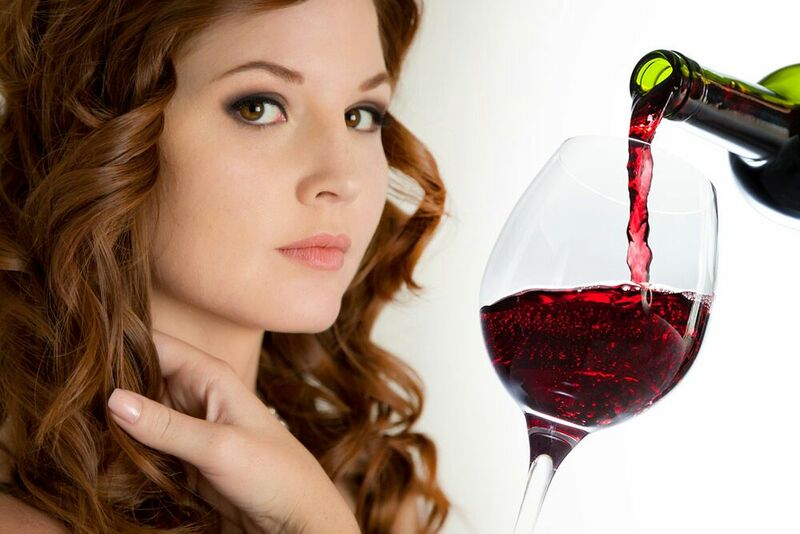 Red wine also inhibits hair loss and reduces dandruff since it increases blood circulation in the scalp.